Sun, Sand and Sexiness is what defines Goa. A wonderful place to chill, relax and have fun with your friends and family! 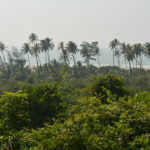 North Goa is the commercialised area with all the famous beaches and tourist spots. 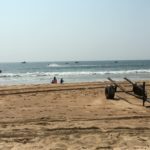 The Dabolim airport is in Vasco da Gama, which is around 40 km from the main beaches in North Goa, takes more than an hour to reach there. The city is well connected with train and bus services too. 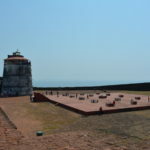 How can I reach Goa? 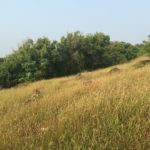 The Dabolim Airport lies just 29 km from the state’s capital, Panjim. It is well-connected by daily flights from Chennai, Mumbai, New Delhi, Hyderabad, Cochin and Bangalore. The two major railway stations in Goa are Madgaon and Thivim, which are well-connected by trains from all over the country. There is a number of public as well as private bus operators in Goa, which offer options for intra-city and intercity conveyance. 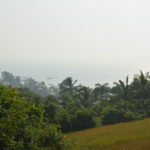 Since Goa being in southern part of India, it encounters high temperatures and humidity most months of the year. 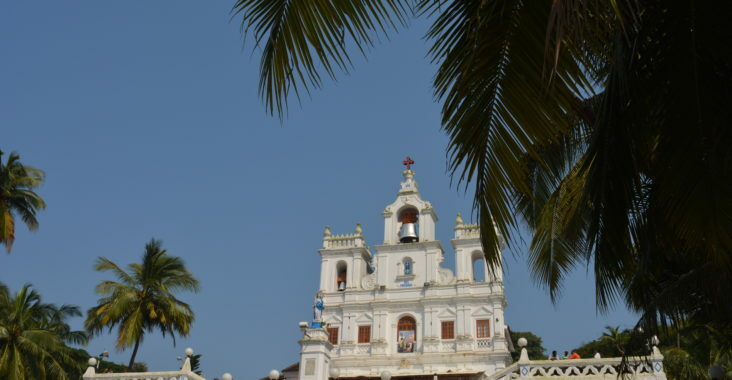 The best time to visit Goa is during the winter months, from November to February. The weather is pleasant and suited for all beach fun. Especially, December is the peak season for this party capital. You see heavy tourist traffic because of the Christmas and New Year celebrations. 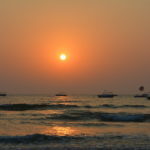 What all can I do in Goa? Heaven for people looking out for Sun, Sand, Party, Cheap drinks, yummy Seafood and a lot of madness. 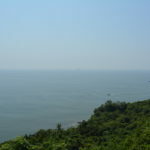 At a single stretch in North Goa, you will find all the locations to visit. It’s a straight road connecting the spots. 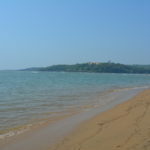 These are the northernmost beaches and are a bit far from the main areas in north goa. Secluded beaches, nice, clean, peaceful, not many tourists visit here. 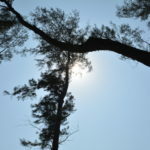 During the day, you can rest beneath the trees and enjoy the panoramic view around. It would not be safe to visit at night as you will not find anyone around. Ashvem beach is a stunner with black rocks on the shore. 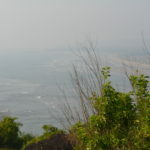 Most foreign tourist is here, as its away from the hustle bustle of Goa. You can take a dip in the water, sunbathe and relax. 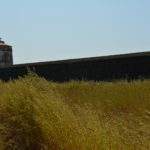 This fort and its lighthouse is one of the major attractions and stands tall since Portuguese era in Goa. 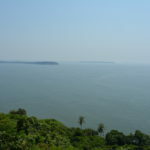 Bordering the fort there is Sinquerim dolphin point, from where the boats take to observe dolphins. 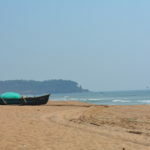 Candolim beach is just 10-15 mins from the fort and has shacks around. 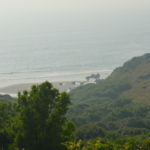 Offers water sports and also can use the beds of the beach to relax. These beds cost around 100-200 INR. Sit, relax and enjoy the view! In the same stretch, we have Calangute beach, the most commercialised and crowded beach :(. It does offer water sports. Have restaurants and shacks, nothing great, though. They have changing rooms and bathrooms on this beach, so if you plan to take a dip and change later. For food, this place called Infantaria is really awesome. This is Dil Chahta hai, an Indian movie fame. 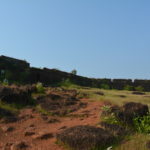 Nothing exceptional to expect as a fort, only boundary walls, but it offers sensational views. 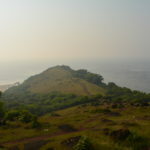 The fort is near Vagator beach, this is a nice beach with a nearby market to shop for souvenirs. 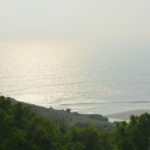 Vagator beach also has many well-known restaurants nearby Thalassa, Waters etc to name a few. 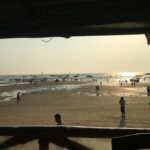 Anjuna beach does attract a lot of travellers, it has many shacks on the beach. Do try Curlies there. Also, few stalls that serve Maggi, bun and eggs. 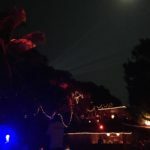 Baga beach has the most happening shacks and an awesome nightlife. The famous Tito’s lane is there itself. Some of the best food joints around are Britto’s and St Anthony’s. Also can try Cafe Laval, good music and ambience. If you need pure veg food there are few dhabas around. I personally found Tito’s and Mambo clubs hyped, rather in the same lane try out Get High. A small place but a cool place to hang out and enjoy. Nearby in Arpora area Club Cubana is an awesome place, though it does not do justice to the ‘club’ part. But situated on the hill top and neon lighting theme makes it a must visit. 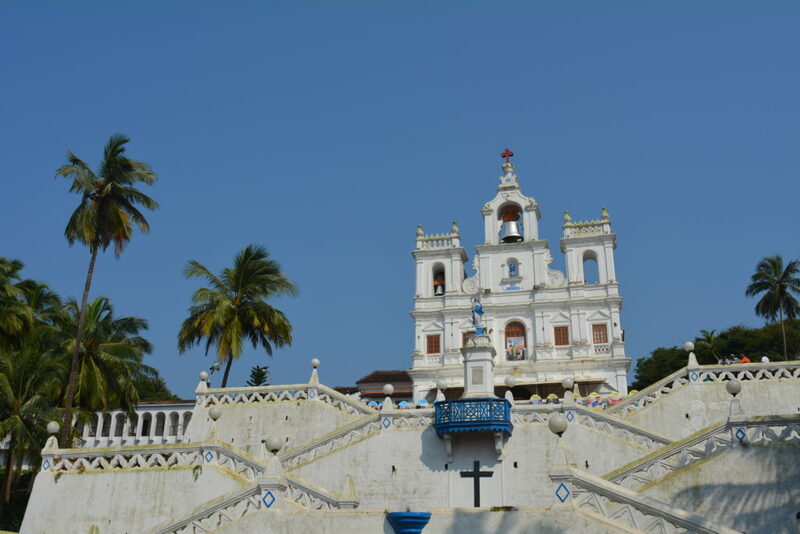 Panjim city and old city offers many architectural places, churches are beautiful. River cruise and casinos are also an attraction in the city. Around sunset the ships take you into the sea and offer food, and local performances and music. Nice experience! 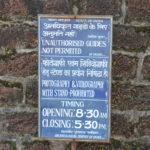 Tickets for the same can be pre-booked or available on the spot near the bridge. Marketplace and malls in the city offer you with all the amenities. The shops are closed around the lunch time 2-4PM usually. What all can I wear in Goa? For footwear, carry waterproof and comfortable stuff, as you need to walk and enjoy the beaches around. 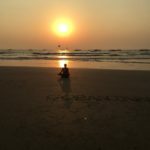 Where can I Stay/eat best at Goa? 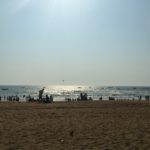 Stay either at/near Calangute or Baga beach if you do not prefer travelling much. Stayed at Suncity resort, Baga beach. Just 5-10 mins walking from the beach. A nice place to stay. 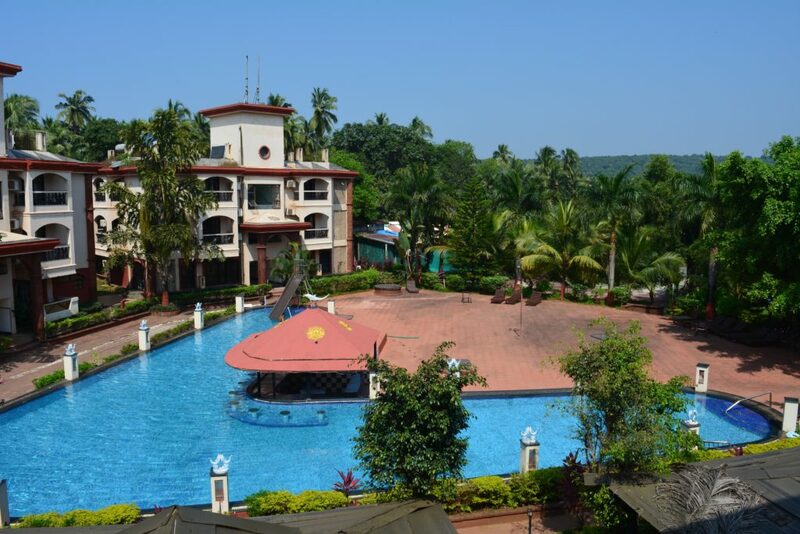 Goa also provides options to rent flats, homestays etc which are much cheaper as compared to resorts/hotels. Calangute beach is the most crowded and totally commercialised beach, regret being there for even 5 mins. Visited in October, which is the start of the tourist season. Missed the local street markets which commence around November near Arpora area. The days are hot and humid, makes it hard to be on the beach and enjoy! 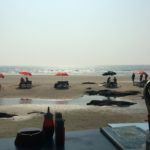 Do’s and Don’t s in Goa! Do give extra efforts in pronouncing the name of local places correct, else totally treated as tourists and the locals take advantage of it. Do rent a car, bike or scootie to travel around the city. 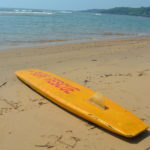 This is best means of transportation in Goa. The rent cost starts from 300-800 INR per day. Do carry towels with you to the beaches, if you want to sit on the sand or anywhere. Not too safe to travel at night. Some places/routes turn blank, prefer only If in a group. Do carry a swimwear along with you. Thanks for all the helpful details ! Where can we travel in the night with safety? I might go in august just for 2-3 days 2 persons.. Thank you. Glad you found it informative. Goa is safe in the night, just avoid barren routes. Goa is full of cafes and restaurants that serve authentic Goan food, you should try that out.